Honda Racing Corporation is pleased to announce the signing of an important new sponsorship agreement with Pull&Bear, the young fashion brand of the Inditex Group (Zara, Pull&Bear, Massimo Dutti, Bershka, Stradivarius, Oysho, Zara Home and Uterqüe). 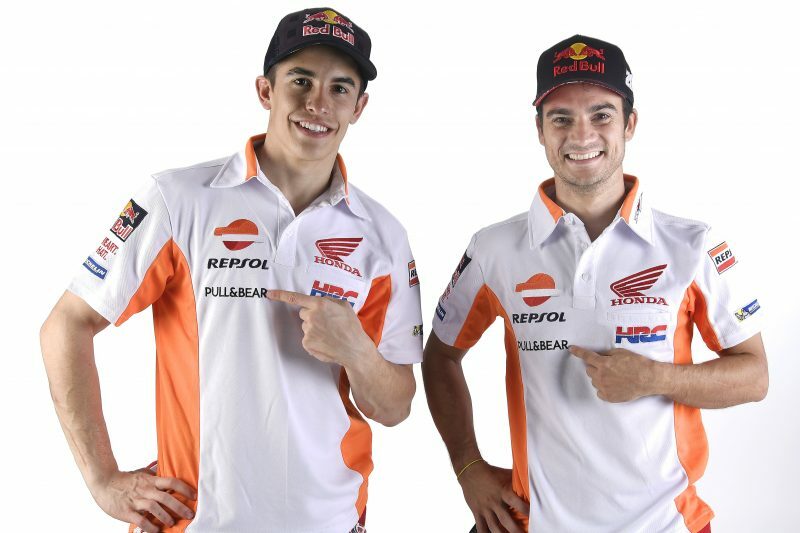 Through this partnership, the 2017 and 2018 MotoGP World Championship seasons will find Pull&Bear’s logo on the race suits and clothing worn by reigning MotoGP World Champion Marc Márquez and teammate Dani Pedrosa, as well as the uniforms of the Repsol Honda Team and HRC staff. 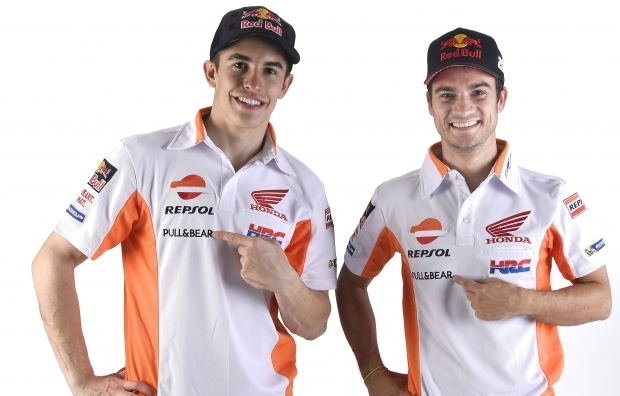 The agreement also involves the Trial Repsol Honda Team, with 20-time World Champion Toni Bou, Takahisa Fujinami and Jaime Busto. Pull&Bear recently announced it was becoming the new personal sponsor of Marc Márquez – an agreement linking the brand to the five-time World Champion for the next two years. Through this deal, the 23-year-old rider will design his first fashion collection in collaboration with Pull&Bear’s creative teams. This new range will be released in Spring. Pull&Bear was founded in 1991 with a clear international vocation, aimed at dressing young people committed to their environment who wish to avoid stereotypes, live in a community and mix together. For them, Pull&Bear takes the latest international trends, mixes them with street style influences and fashion clubs, and re-interprets them in a unique style, transforming them into comfortable, easy to wear items at competitive prices. Pull&Bear has evolved alongside its clients, and is always up to date with new technologies, social movements and the latest artistic or musical trends. This is reflected not only in its designs but also in its stores. Pull&Bear currently has a network of over 980 physical stores worldwide. The brand has a commercial presence in 71 markets through stores and e-commerce at www.pullandbear.com. Pull&Bear is part of the Inditex Group (Zara, Pull&Bear, Massimo Dutti, Bershka, Stradivarius, Oysho, Zara Home and Uterqüe), one of the world’s largest fashion retailers with more than 7,200 stores in 93 markets across the five continents.